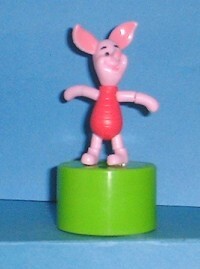 This cute little Piglet Push Puppet was originally a candy topper for Smarties. Distributed in Europe only. Not the best push action in the world but a nice addition to a Disney collection.